Today is Elecion Day, please VOTE! 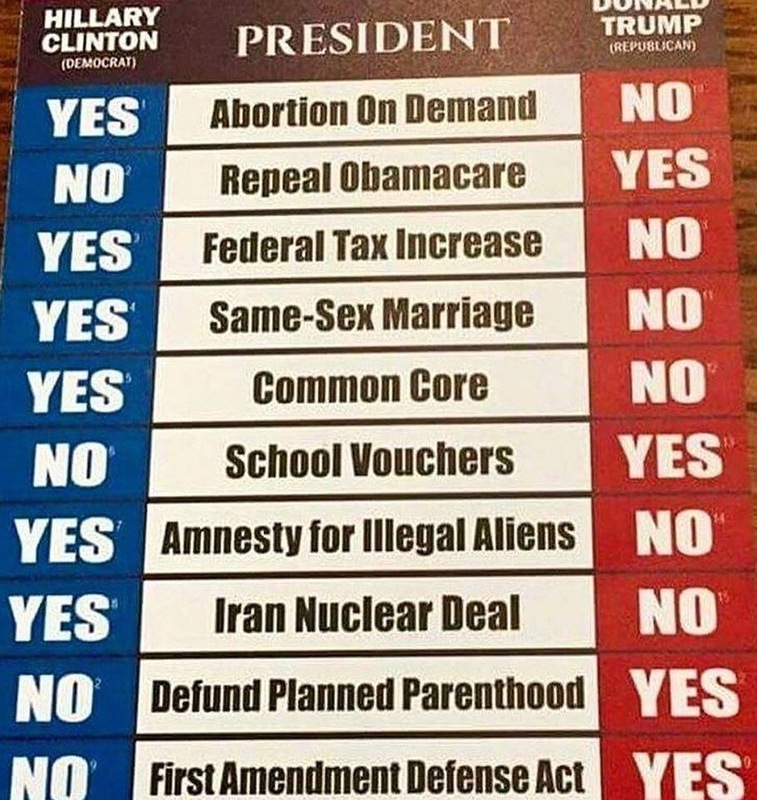 If you can’t vote for either candidate vote the platform. The image gives the basics of the platform of Hillary and Trump. Take your stand by voting your conscience and ask God what He would have you do. This entry was posted on November 8, 2016 at 12:37 pm and is filed under Email: info@sosevents.org. You can follow any responses to this entry through the RSS 2.0 feed. You can leave a response, or trackback from your own site.